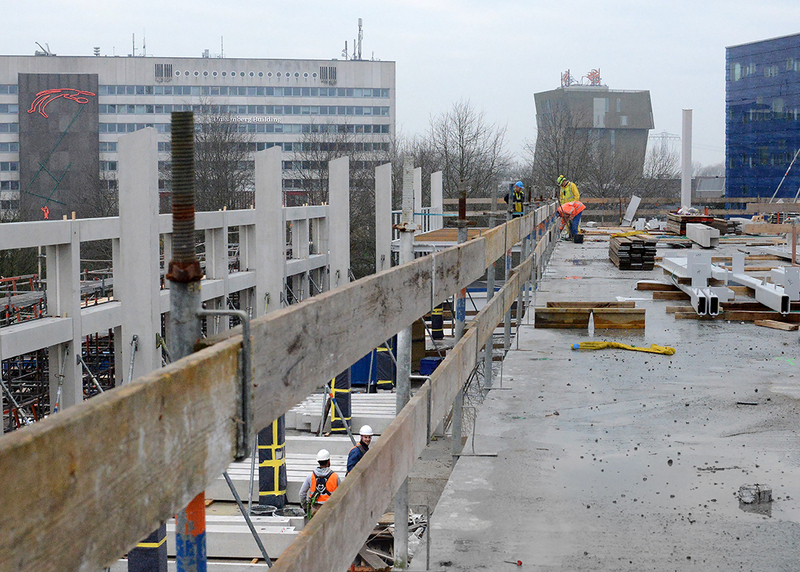 From Zernike to the Ebbinge quarter, university-related construction projects are becoming a reality. The Energy Academy Europe is joining the Linneausborg, Bernoulliborg and Zernikeborg at the Zernike campus, and the Proton Therapy Centre and The Student Hotel are changing the skyline at UMCG and the Ciboga terrain. 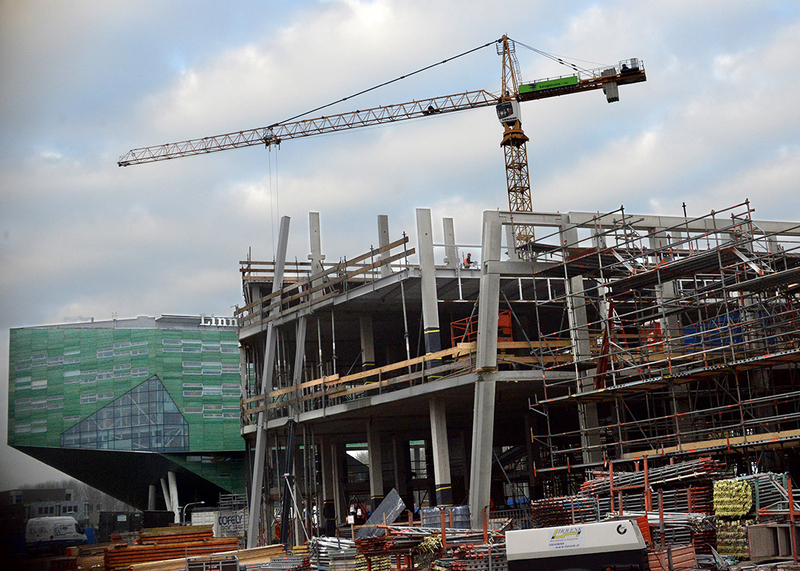 The UK visited the construction sites over the past few months to get a sneak peek at the up-and-coming buildings. 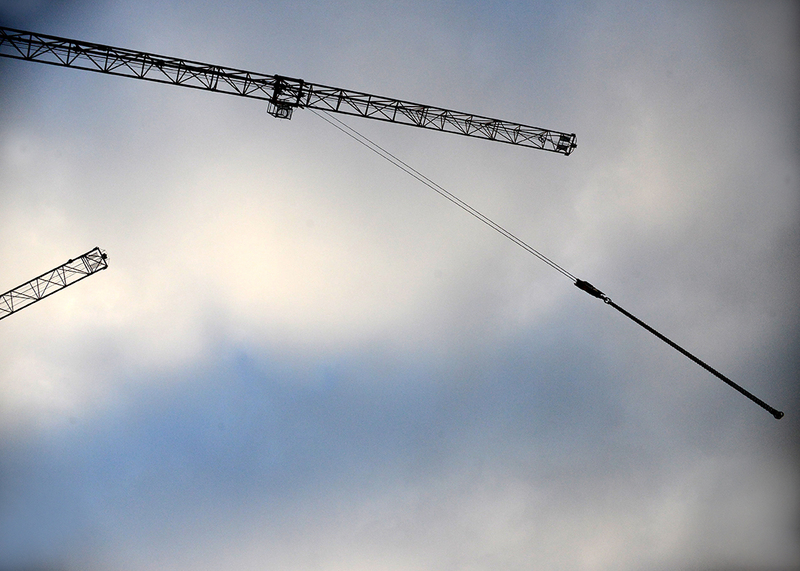 Cranes drift above the construction site of the Energy Academy Europe at the Zernike campus. The building, which will cover 15,000 square meters, will be the home base for all education and research connected to energy in Groningen. 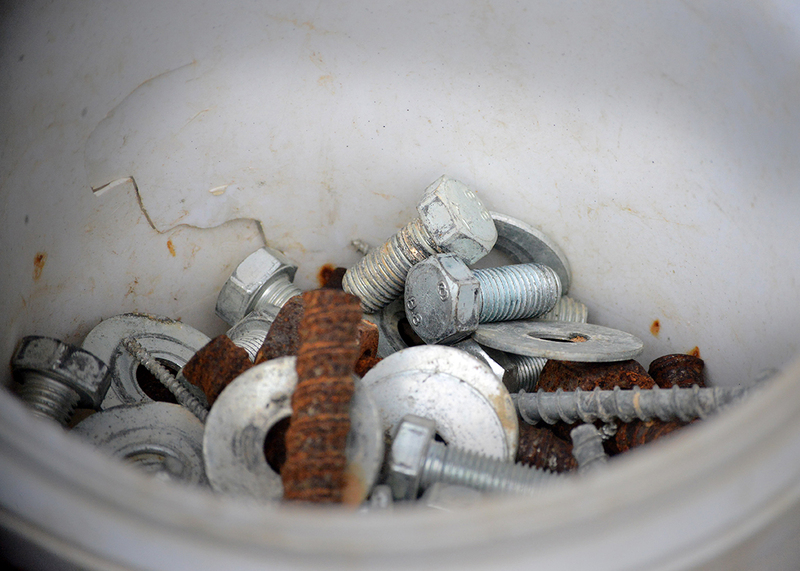 Nuts and bolts for use in the construction of the Energy Academy stand stored in a bucket. In front of the Linnaeusborg, the frame of the Energy Academy comes into view. 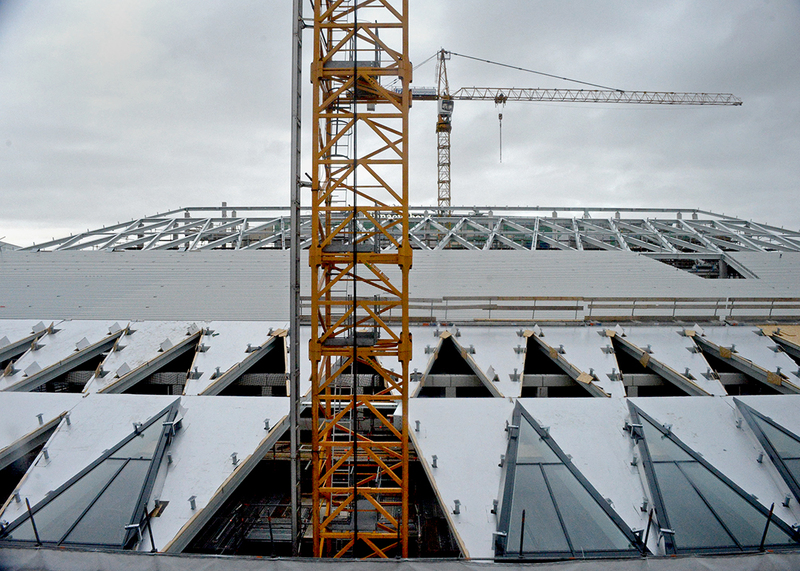 Construction workers on the roof of the Energy Academy continue their work on a cold and misty December day. 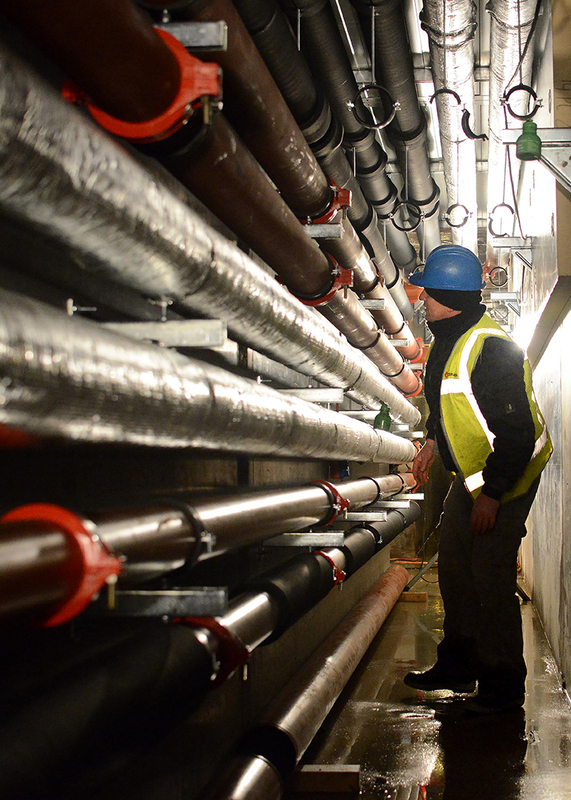 Pipes underneath the Energy Academy are inspected during a tour of the construction site. The building will utilize the elements – water, air and sunlight – for temperature control. A 200-meter long tunnel beneath the building will make it possible to heat and cool air, and a solar chimney will be built into the roof. 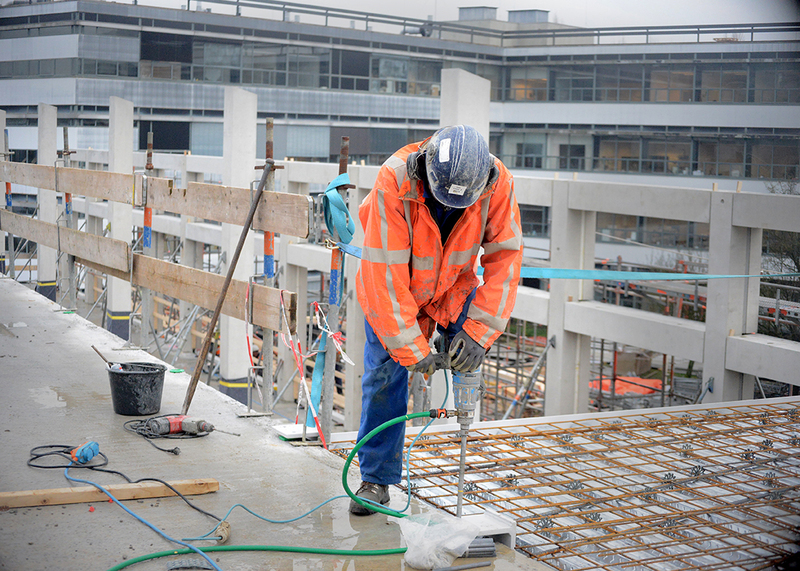 On the roof of the Energy Academy construction site, a worker puts his back into his task. Triangular windows are being added to the roof of the Energy Academy. The Dutch Green Building Council (DGBC) recently awarded the design for the building with an Outstanding score for sustainability. 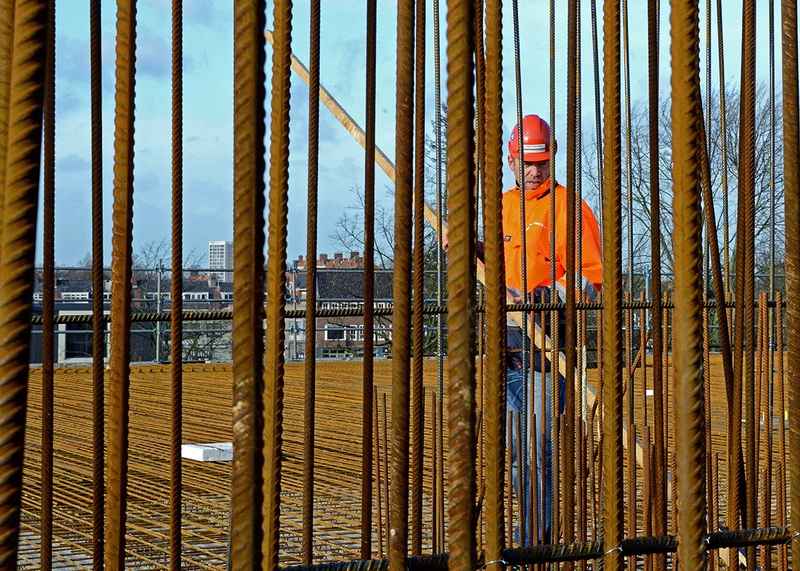 In between the rebar that whistles in the high wind, a construction worker is seen on the roof of the Proton Therapy Centre, which will eventually be part of the Healthy Ageing Campus of the RUG. UMCG is one of the first hospitals in the Netherlands that will be able to provide proton beam therapy for cancer patients. 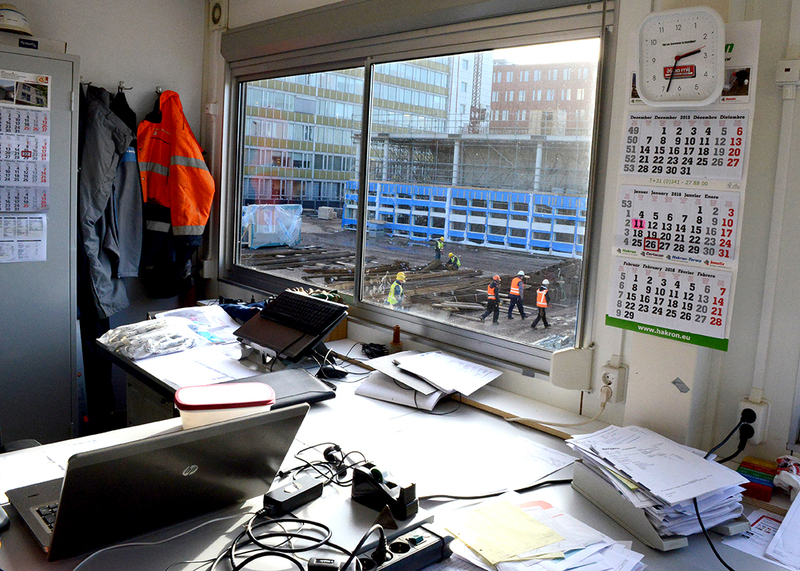 Construction workers from Visser & Smit, wearing reflective safety vests, are seen from the temporary offices on the construction site of the Proton Therapy Centre. 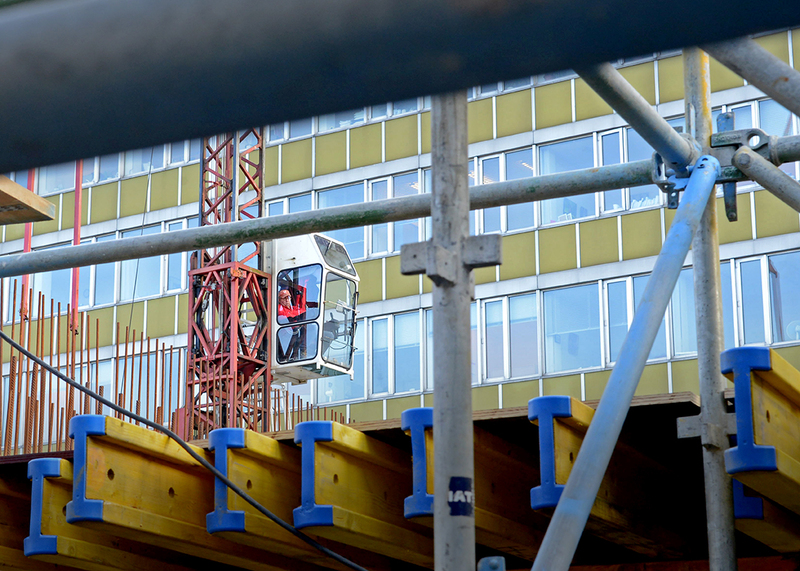 A crane operator is seen among the scaffolding bracing the extremely thick concrete floors and walls of the Proton Therapy Centre. The concrete, up to 1.2 meters thick in some spots, is necessary to create a safer working environment for the medical staff who will run the massive proton therapy machines. 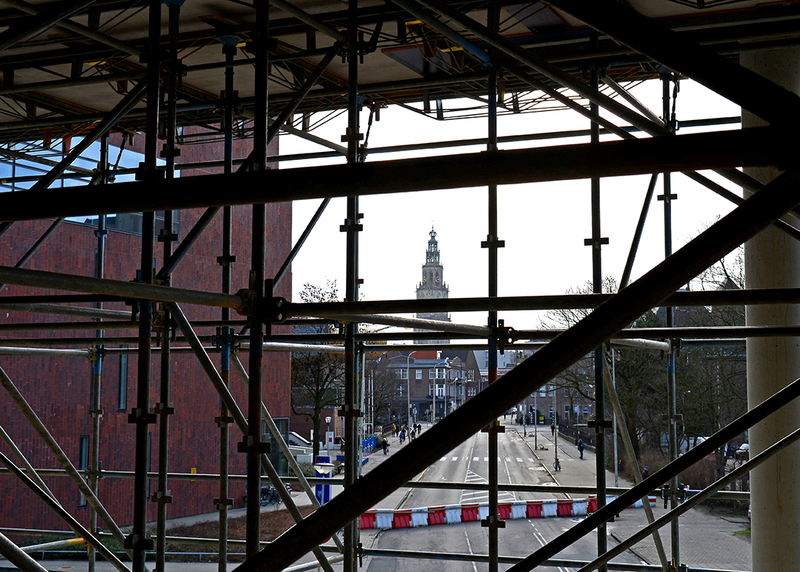 The Martini Tower and the closed off Antonius Deusinglaan are framed by the scaffolding supporting the ceilings and flooring of the Proton Therapy Centre. 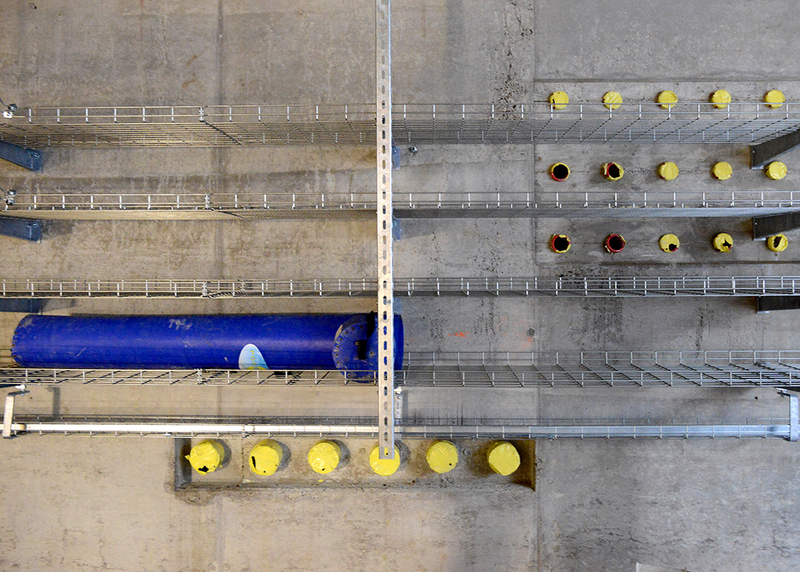 Metal racks for the meters of cables which will eventually fill them stand mounted to the walls in the basement of the Proton Therapy Centre. 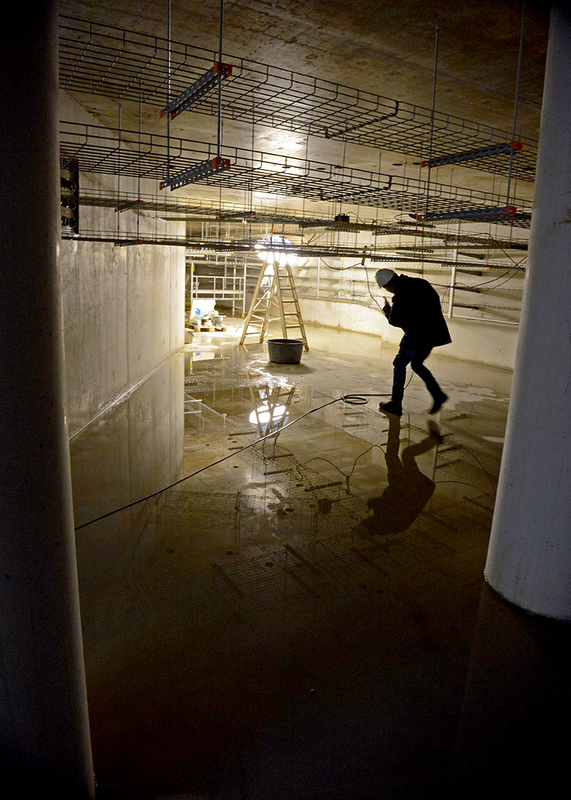 Gerard van Luik crouches down to duck below the metal racks in the basement of the Proton Therapy Centre. 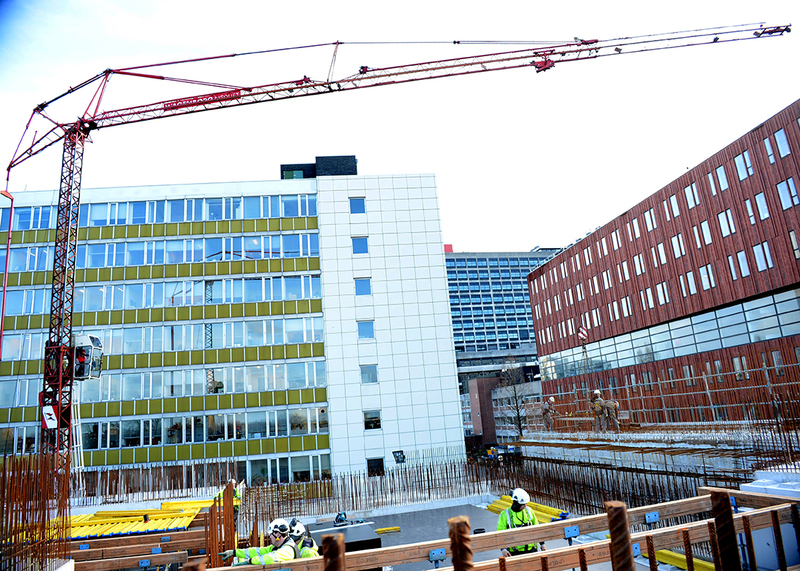 A bright red crane stretches above the construction workers on the roof of the Proton Therapy Centre. 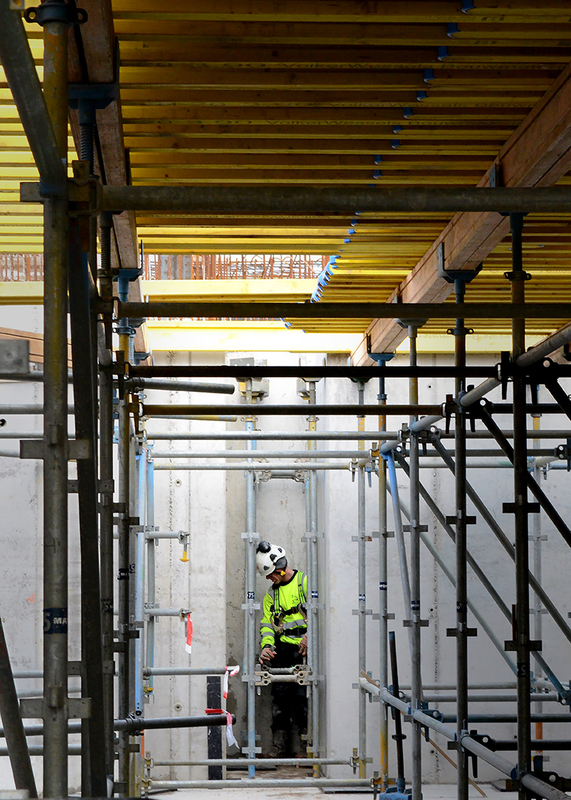 A construction worker inspects equipment inside an alcove in the walls of the Proton Therapy Centre. The alcove leads to an escape passage in case of emergency inside the facilities. 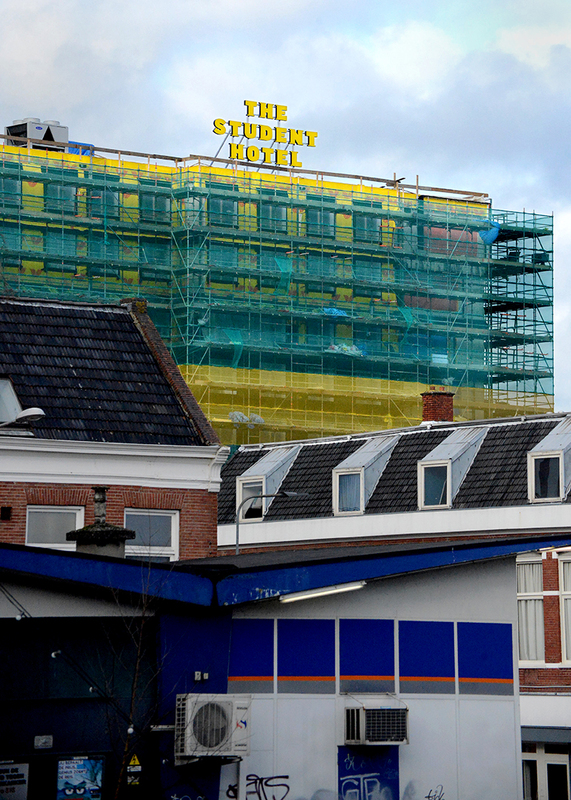 The Student Hotel is seen from the Ebbingestraat on a snowy day. The building, which is situated on the CiBoGa terrain, will eventually have 385 rooms by the time construction is completed this summer. 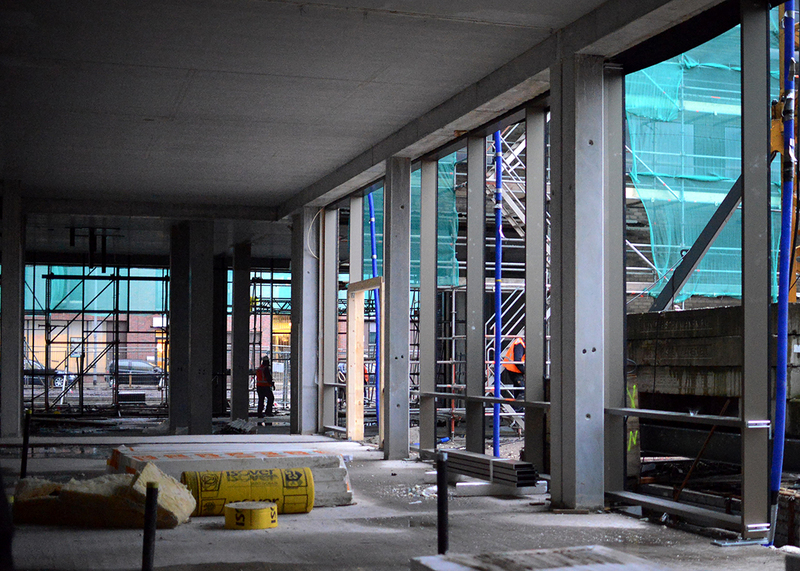 The ground floor of The Student Hotel is seen during a tour of the construction site. The common spaces in the building will include a restaurant, a library, a gym and a game room. 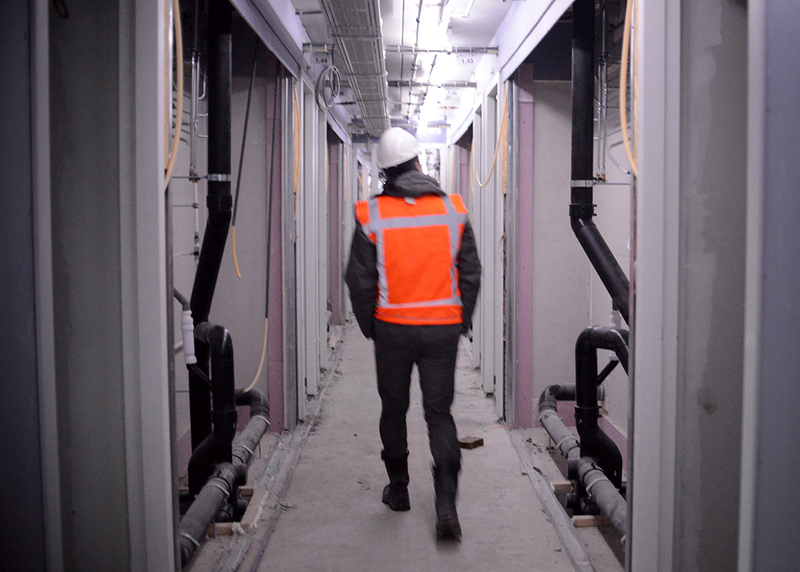 Edwin Hof of Plegt-Vos walks along a purple-tinged hallway inside The Student Hotel where plumbing and heating components, which will eventually be hidden behind the walls, were temporarily visible. 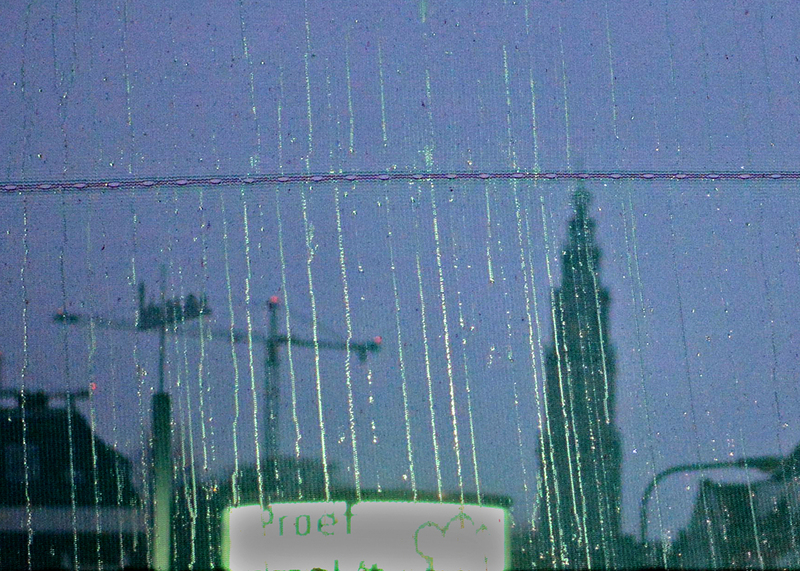 The Martini Tower and the two cranes at the construction site of the Groninger Forum are visible through the green, rain-streaked fabric covering the scaffolding of The Student Hotel. 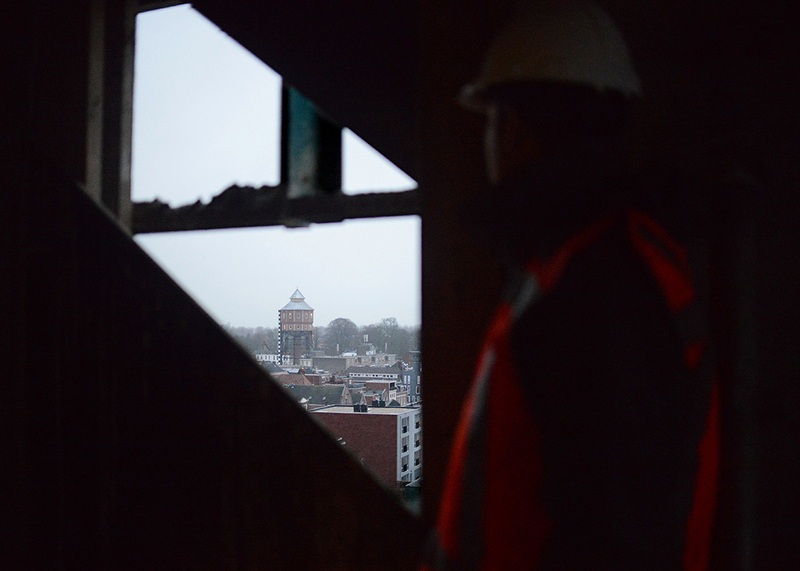 Edwin Vos peers out of a gap in the under construction walls of The Student Hotel with a view of the House of Design or De Bovenkamer, a renovated water tower, near the Noorderplantsoen. 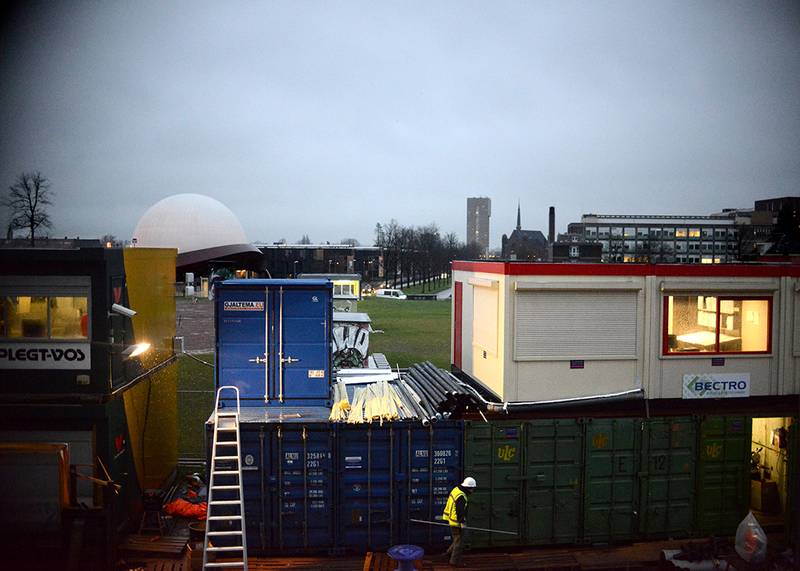 A construction worker walks past storage containers on the CiBoGa terrain. The Ebbinge quarter neighbourhood will also be the future location of Usva and the Healthy Ageing Campus. 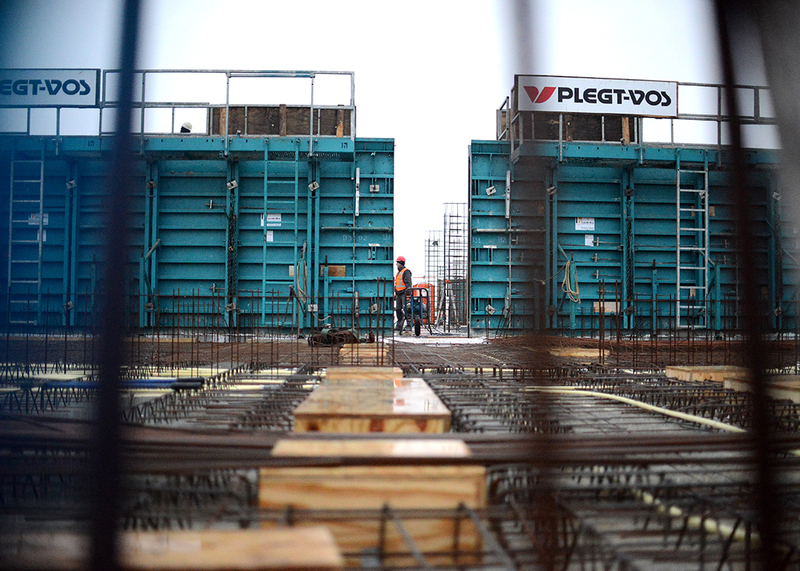 An employee of Plegt-Vos walks between frames supporting the walls for the next floor of The Student Hotel. The project is scheduled for completion in September 2016. 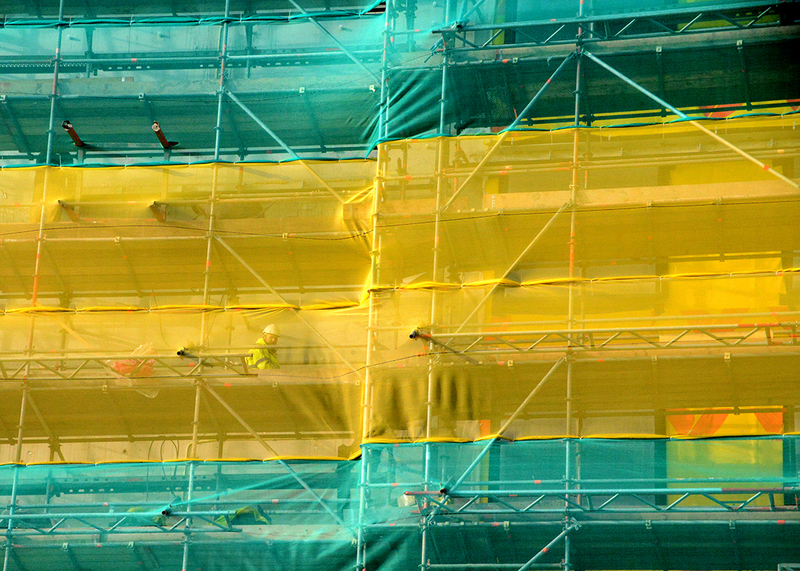 A construction worker is framed by the yellow and green fabric covering the scaffolding on a sunny day as work at The Student Hotel continues. 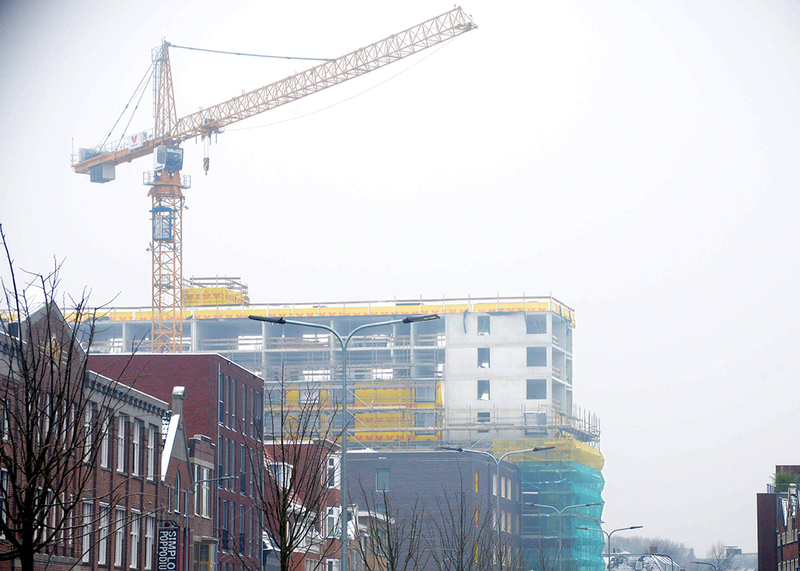 The sign for The Student Hotel rises above the skyline in February as construction carries on.